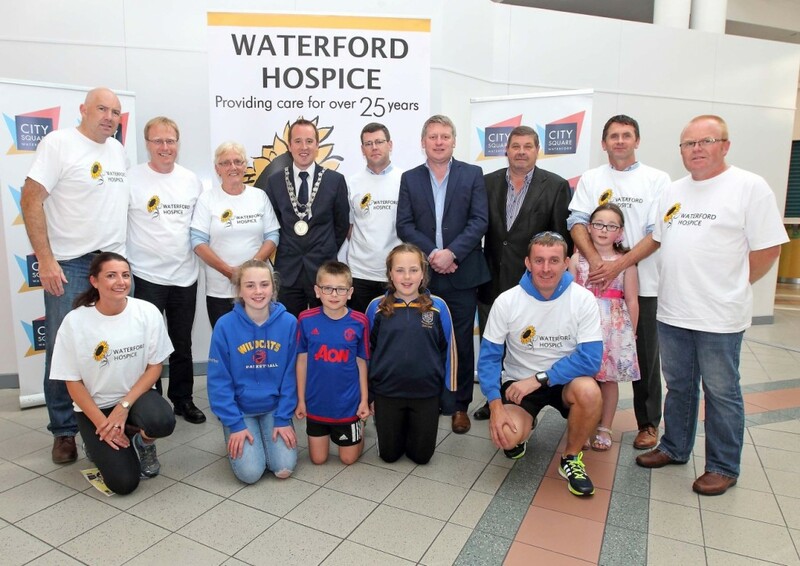 City Square Shopping Centre are delighted to be one of the main sponsors for the Vadrafjord Waterford Hospice Run on Sunday September 25th. All funds raised go towards the construction and running of the new Waterford Hospice. As part of our support a number of staff from City Square are taking part in the run. Some are seasoned runners while some are just beginning. They will be proudly wearing the unique and ultra stylish “Team City Square” t-shirts on Sunday so if you see them any extra encouragement will be much appreciated. Centre Manager Alan Weston said “its great to be involved as it’s a great cause and Waterford Hospice such amazing work much of which people may not even know about. We wish everyone the best of luck and hope you all enjoy it”. Mulligans Pharmacy – Orla Crotty, Evelyn Cronin, Michelle Prendergast, Stephen Mangan, Shauna Power, Jeanette O’Niell,& Oisin Crotty. Falcon – Elaine Keating & Cliona Morrissey. City Jewellers – Muriel Cullinane & Jacqueline Hutchinson. The 8k run starts at 1pm at the Reg and finishes there also. Registration is open now and here is the link to sign up TotalTiming.ie However people can also sign up on the morning in the Reg bar. Entry is just €12.